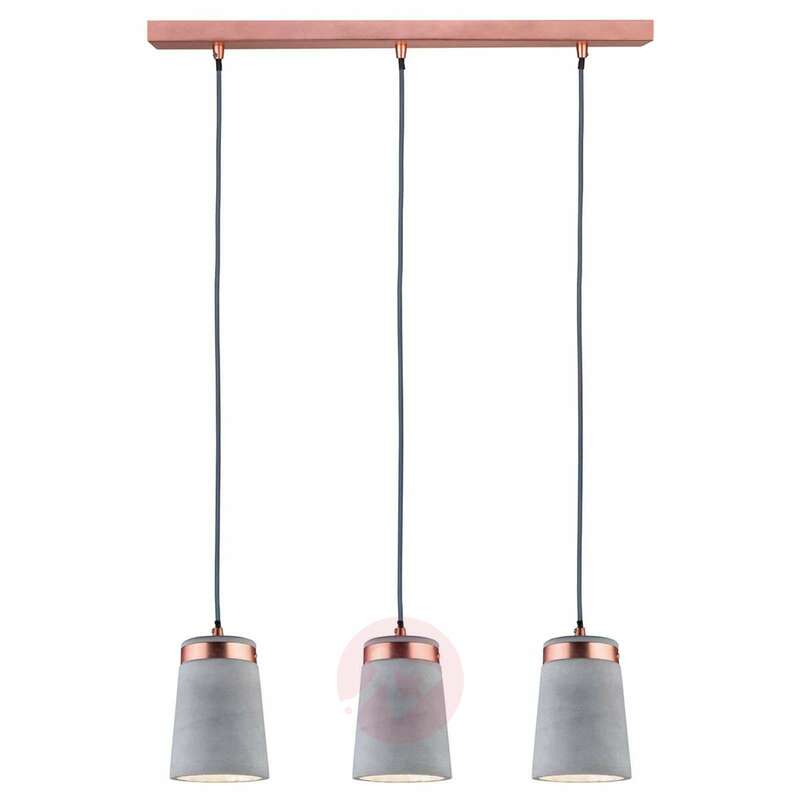 Real concrete combined with copper-coloured metal elements is used in the production of this hanging light for inset and allows the light to become a real eye-catcher above a dining table at home. 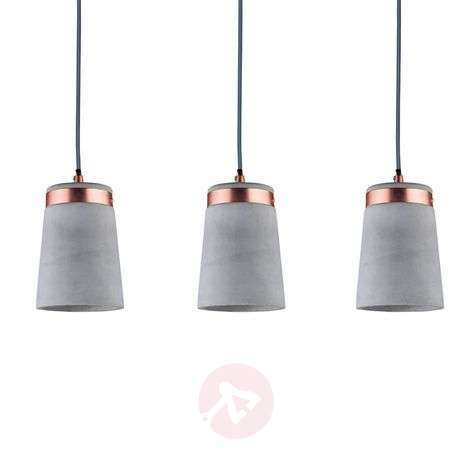 Three lampshades, which are open at the bottom and direct the light onto the table surface, are made from concrete in a cone-shape and encircled in the upper part with a decorative metal ring, which, like the frame, was finished in a stylish copper-finish. 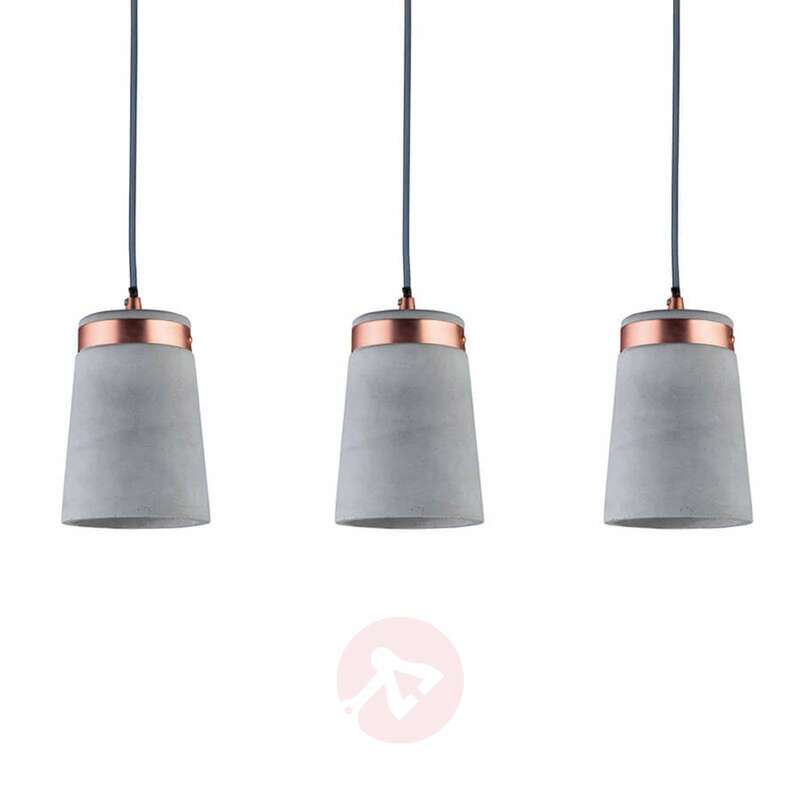 The copper-coloured tone gives the otherwise cool concrete a wonderfully warm radiance, so that the overall image works harmoniously. Thank you for asking. Yes, the height is adjustable upon installation by your electrician.